Minister James Stokes: Became a member of Zion Hill B.C. in 1942. 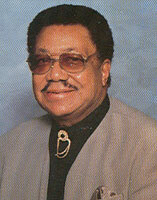 He was ordained as a minister of the gospel on April 14, 1982. His favorite scripture is Psalms 133. Evangelist Inetta Givens: Became a member of Zion Hill B.C. in 1995. She was licensed as a minister of the gospel on May 24, 1995. Her favorite scripture is John 6:43.